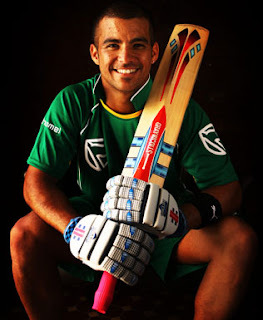 South Africa batsman - JP Duminy who raised his game , when South Africa toured Australia last summer , is really excited and has admitted that he is still pinching himself to make sure he has been bought by an Mumbai franchise for US$ 950,000 and says he is now looking forward to pick up some tips this month from Sachin Tendulkar and Sanath Jayasuriya, his Mumbai Indians team-mates, who he looked up to as a young boy. Duminy says that the experience of sharing dressing rooms with some of the greatest players of this era will be unforgettable. I am really looking forward to playing with those players, the likes of Tendulkar and Sanath Jayasuriya. I looked up to them as a young boy and to be playing alongside them is a great honor. I am definitely going to try and learn as much as I can from them and get to know them as well as I can." In fact, Duminy feels that the IPL would be a defining experience not just for the international players involved in it but also for junior cricketers in South Africa who will be watching it. Hopefully, if the one-day series can go well for me, I can take a bit of confidence going into the IPL. The IPL opens on April 18 in Cape Town's Newlands, Duminy's home ground, with a match between Mumbai Indians and Chennai Super Kings. Everybody join me and say "Duniya Hila Denge Hum"